When food becomes contaminated, it has the potential to make you sick. Depending on the source and level of contamination, the effects of contaminated food can cause symptoms such as cramps, nausea, diarrhea, vomiting, nerve damage, allergies and paralysis. While eating food contaminated with pathogenic bacteria, allergens or bacterial toxins has a relatively quick effect, food contaminated with mercury needs to be eaten regularly over time to have a significant effect. Food-borne infection is a type of food poisoning that can result when you eat food that is contaminated with pathogenic bacteria, such as E. Coli or Salmonella. When enough bacteria are present, they can multiply in your digestive tract and make you sick. Although many foods contain some bacteria, certain species are particularly hazardous and cause symptoms such as stomach cramps, nausea, fever, diarrhea and vomiting. Results can be serious and life threatening for babies, elderly people, pregnant women and people with compromised immune systems. Depending on the species of bacteria, symptoms of food-borne infection can take as long as a month to develop. Over time, mercury released from industrial processes has settled in earth’s waterways and been absorbed into the food chain. Because of this, various fish species are contaminated with unsafe levels of mercury with large fish having the highest levels. People who eat fish such as tuna, swordfish and mackerel regularly are at risk for mercury poisoning. Mercury is a neurotoxin that can damage your nervous system, decrease your fertility level and possibly increase your risk of heart disease. Young children and pregnant women are the most sensitive to these effects and should be conscious of how much fish they eat. Processed food products occasionally become contaminated with unknown allergens when manufacturers accidentally let them come into contact with ingredients from a different product. This can happen when processing equipment is not properly cleaned between the manufacturing of different products or there is an error in the ingredients added. The most common allergens are peanuts, soybeans, fish, milk, eggs, tree nuts, wheat and shell fish. When a food product is contaminated with an allergen that is not listed on its label, it becomes a serious health threat to people with allergies. 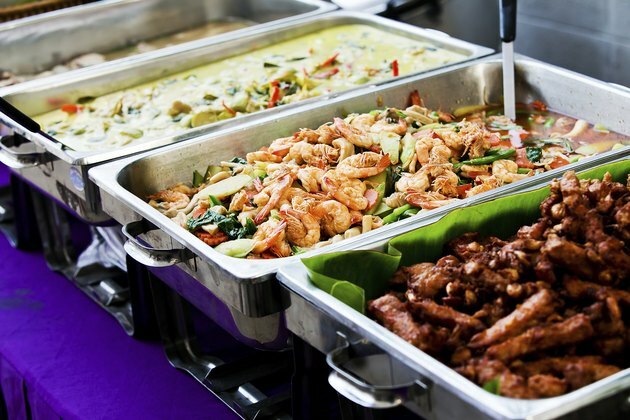 Food intoxication is a type of food poisoning caused by bacterial toxins. Although the bacteria Staphylococcus aureus and Clostridium botulinum will not make you sick, the toxins that they release into food can. If you eat food that is contaminated with C. Botilinum, you will experience symptoms such as weakness, vertigo and vomiting within 36 hours. Without medical treatments, food intoxication from botulism can lead to paralysis and possibly death.